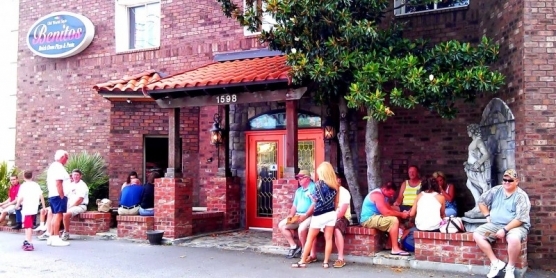 Benito’s Brick Oven and Pizza is homey Italian Trattoria in North Myrtle Beach, South Carolina. Their pizzas are handmade and baked in a wood-fired brick oven. The pastas are made from old family recipes. Benito’s has a very nice but relaxed atmosphere where they make everyone feel welcome be it a family, group of golfers, or a couple on a date. It is very definitely a local’s favorite.